St. Petersburg Airport & City Taxi Transfer Services provides a Meet and Greet service to welcome you at the arrival in Pulkovo (LED) Airport. We have distinguished ourselves to be a reliable, punctual and safe English - speaking transfer service provider in Saint Petersburg for the past ten years. Our taxi transfer services are not limited to the Pulkovo (LED) Airport only. We transport our guests to the rest of Saint Petersburg and famous suburbs such as Pushkin - Tsarskoye Selo, Peterhof, Pavlovsk, Gatchina, Strelnya, Lomonosov, Island of Kotlin etc. Transfer to the Sea and River Cruise Port and a Train Station provided as well. Chauffeur services are available and charged per hour. 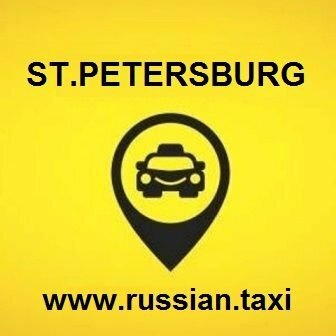 St. Petersburg Airport & City Taxi Transfer Services offers the small economy vehicles, spacious SUV cars, Mini Buses and Mercedes Benz S-Klasse. Our quality assurance program to make sure that our guests will enjoy their journey with us was designed and implemented. St. Petersburg English - speaking transfers one of the few local, Russian owned, managed and officially registered taxi and transfer operator in St. Petersburg as well as the member of Taxi 812 transportation solutions group. The company offers world-class professional service, dedicated team of experts and a hassle free travel experience in Saint Petersburg. Make use of our easy online transfer booking system or just send us a message. All our rates and tariffs are fixed and calculated per car. We accept online payments for your convenience. Once the booking is confirmed the link for secure payment will be sent on request. Looking forward to welcome you in Russia!